University Hospitals Plymouth NHS Trust regularly engages with local user groups and self-advocates from local partnerships in order to ensure that the needs of patients with learning disabilities are being met. Read " The Derriford User Group and local learn…"
Staff at University Hospitals Plymouth NHS Trust (UHPNT) have managed to donate £2067 towards immunising expectant mothers and young children against tetanus. As part of this year’s flu campaign, UHPNT took part in the UNICEF initiative to ‘Get a jab, give a jab’, which encourages staff to take up the option of the free flu vaccine and, in turn, help donate towards inoculating people in developing countries. Read " ‘Get a jab, give a jab’ initiative donat…"
We’d like to say a big thank you to the Royal Antediluvian Order of Buffaloes (RAOB) for their incredibly kind donation of £3,200 to the children’s wards at Derriford Hospital. Read " A big thank you to the Royal Antediluvia…"
A collection of twelve pieces of artwork have been donated to Derriford Hospital. Read " Collection of artwork donated to Derrifo…"
From 17 April 2018, University Hospitals Plymouth is taking part in a 70 day challenge to help end Pyjama Paralysis. 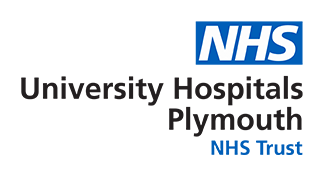 Read " End PJ Paralysis 70 day challenge…"
We are delighted to announce that University Hospitals Plymouth NHS Trust (UHPNT) won in two categories at the Patient Experience Network National (PENN) awards last month. Read " University Hospitals Plymouth NHS Trust …"
Derriford Hospital has launched a new dining experience together with Warrens Bakery. The wholesome eatery ‘Goodness at Greens’ offers balanced food choices using many local suppliers and opened the doors to this fresh look on the 3rd April. Read " Revamped restaurant opens at Derriford H…"
Today, 1st April 2018, marks our Trust’s first official day as University Hospitals Plymouth NHS Trust, following approval for our name change by the Secretary of State for Health and Social Care.